We developed a complete Magento B2B pricing solution to support B2B pricing within Magento. 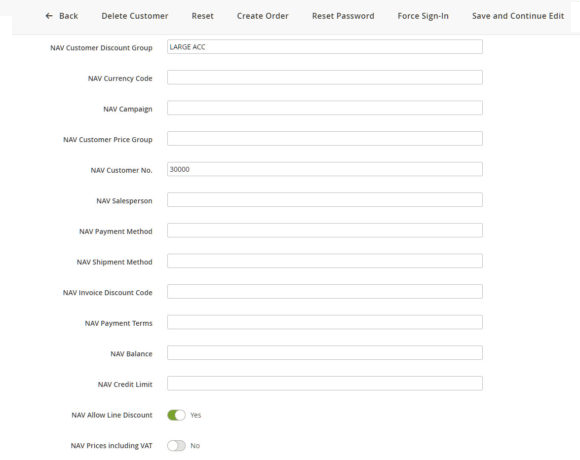 Activate product ranges and item groups with customer specific prices for corporate B2B customers and regular customers. Offer your customers their own pricing in Magento based on the customer discount groups ánd item discount groups within your Microsoft Dynamics NAV/365. Or… offer unique pricing to specific customers. In other words, this B2B pricing extension allows you to offer your customers the same pricing as in Microsoft Dynamics NAV. In addition, it also supports multi-currency per customer. This Magento extension makes use of all the data in the Microsoft Dynamics NAV tables 7002 Sales Price and 7004 Sales Line Discount.